Did you see the BIG news yesterday? Neat & Tangled got Moxie Fab's "Stamp" of Approval yesterday over on the Moxie Fab World blog! Woot, woot!! In celebration of this news, the DT has put together some fabulous tags to spark your creativity this holiday season! I hope you checked out the Neat & Tangled blog yesterday because there were tags showcased there. I've used the adorable Elves at Work for my tags. The base of the tags is one of the Stitched Mats: Rectangles from Lil' Inker Designs. I stamped the elves onto kraft and left them uncolored for something different since I knew I would add some scrap holiday paper I had on my desk. Then using the Do Not Open stamp, I've stamped twice and pieced my sentiment back together. Now I know you all have eyelets in your crafty stash, right? It was fun to get them out and use them again! 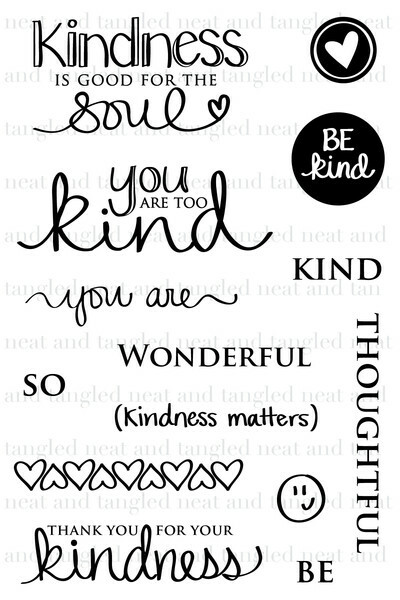 I should mention that there is some **cute** digital stamps being offered over in the Neat & Tangled store that Danielle released for this BIG news! Hi everyone! It's time for another dose of the 12 Kits of Christmas and now it's really on! Less than 30 days until Christmas! I've had such a great time this year with this group of ladies.......Can you believe all the goodies I've received and tried? It's been awesome! This month's hostess was Jeanne Jachna.....can you say FABULOUS?? I could not believe my eyes when I opened her kit this month! Just go check out her blog........A Kept Life. It's ok......I'll wait. She is so talented and I love her style although mine is far from hers!! Thank you Jeanne......You put together such an amazing kit! **Disclaimer......There is no way to say exactly how many cards that can be made with this kit. It's huge. :) I've made a couple of cards and some tags! Now it's time to go check out the other girls and what beautiful cards they created with Jeanne's kit! 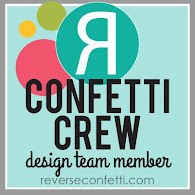 Remember that this is a Blog Hop and that there is a little blog candy? One commenter from one of the 12 kits posts will be randomly selected to receive this stamp and die set from Serendipity!! One more thing.........Mary Dew Lee the owner of Serendipity stamps is having a one day sale on Friday, Nov. 30 in honor of our 12 Kits this month. In addition to the giveaway of the ornament stamp and die set, she is having a one day sale, everything Christmas is 20% off!!! 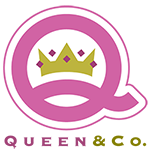 Here is the list of blogs you will need to visit and leave comments for your chance at the blog candy this month! Have fun! Hello friends! I wanted to come and share a card using the newest Digi images from Fresh Squeezed Stamps. What fun homespun images! You can find them HERE. They also have a fun challenge going on......Squeeze-A-Palooza! 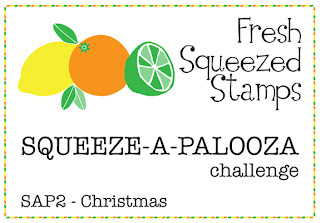 Thanks for stopping by and Fresh Squeezed Stamps also has a little contest over HERE where you can vote for the card you like. The winner gets a free stamp set! I'd love your vote! See you tomorrow for 2 posts..........and they are all Christmas! I hope you took advantage of the sale at Neat & Tangled stamps over the weekend and snagged some of your favorites! Today, I'm sharing a simple, simple card with you. 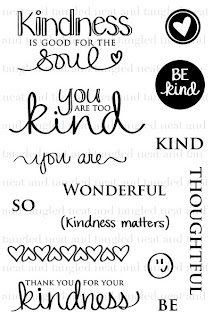 Using the word stamps from Kindness Matters, I created a sweet sentiment panel adding in some of the heart stamps as well. 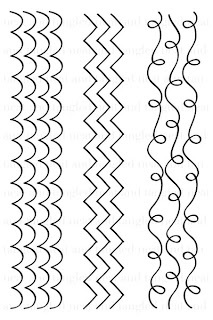 I also used another set, Little Tangles, for stamping my own Chevron paper and then die cutting it with an arrow die. I love that I can highlight certain words in my sentiment this way! That's all from me today! Enjoy and I'll be back later this week with some very inspiring posts to spark your creativity this season! Welcome everyone! I'm so excited to share my card today.....using some Waltzingmouse Stamps! It's Waltzingmouse Blog Party time!! I am very blessed to have so many things in my life......stamping friends amongst them. It's because of the generosity of a stamping friend, I added a few sets to my WMS collection! Thank you Joan! I've kind of done a two-fer here and also played along with the sketch challenge! 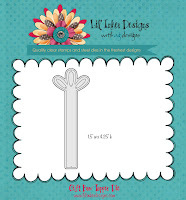 I used the Big Blooms Chrysanthemums for my focal point of the sketch and a cute little sentiment from Teeny Trees. I knew the minute I got this set that I would use my Distress Inks on this gorgeous flower. Seriously, I've mentioned before that I LOVE this technique! To frame my flowers, I added a simple scoring detail. Thanks for stopping by and enjoy the Blog Hop! Hi everyone! Yay for weekends! 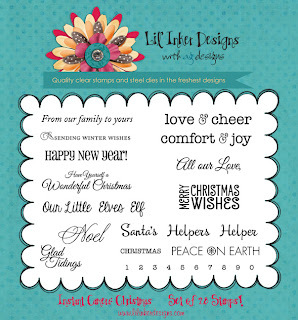 I have an easy quick VERY mailable card for your holidays! I've used a new stamp set from Market Street Stamps illustrated by the talented Stephanie Washburn. It's called Shine On. I knew I wanted to have "colored" lights but didn't want to spend the time to color all the bulbs in so I used a technique I've shown before......stamping with the reverse side of your stamp! I first stamped my string of lights 4 times to "connect" them across my card. After stamping my lights on the string, I applied a piece of double sided tape to my clear block and turned my light stamp over to begin stamping my lights. I did stamp off one time with each color before stamping my card......gives the lights a softer look. When stamping this way, it gives the look of a glow to the lights! I love how this turned out........so very CAS. I've added some glitter to the lights "heart" center (which is just a fantastic detail Stephanie did). My white panel is popped up on foam adhesive but you could certainly leave that out to make it even more mailable! 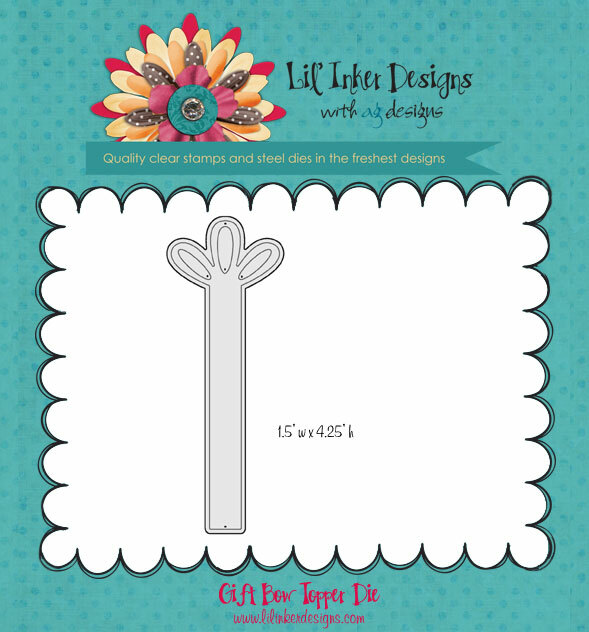 Welcome back to the final day of the Lil' Inker Designs November Release! Today is the group post day and we're continuing in Blog Hop fashion. You will see anything released this month in today's posts......so sit down and enjoy the hop! Everything is available over at the Lil' Inker Designs Shop! When I first saw the new Instant Camera Die and Bow Topper Die, all I could see was a present! 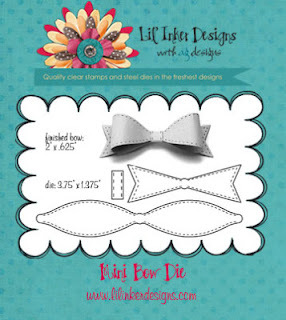 It's the perfect size for a focal point on a card and the Bow Strips are perfect for adding a sentiment! 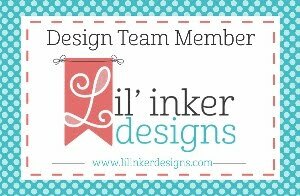 Thank you so much for joining me this week as I celebrated the new release of some fabulous new product from Lil' Inker Designs!! Your next stop today is Alicia Thelin's blog! 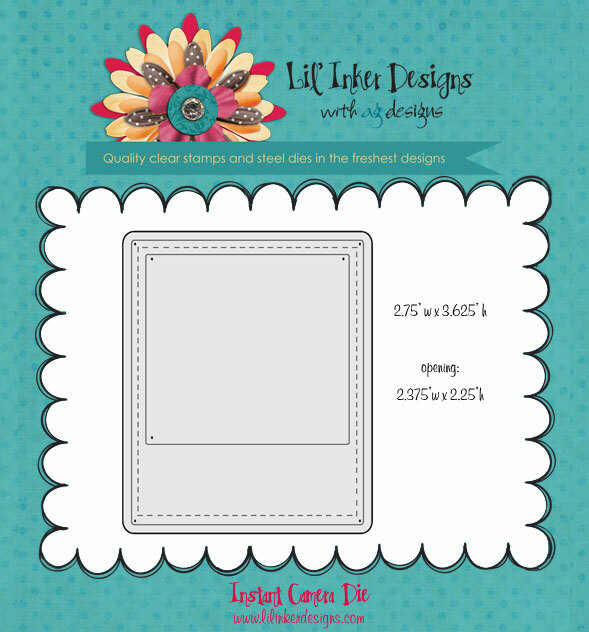 Welcome back to Day 2 of the Lil' Inker Designs November Release! Did you enjoy yesterday's Bog Hop? Well, today we have even more inspiration for you! You should have arrived here from my friend, Jen Carter's blog. If not, you need to start over at the Lil' Inker Designs Blog. Today we are sharing projects with the Mini Bow Die and the Color Team is showing a few new sets called No Peeking and Dear Santa. Subway art is ever so popular right now. The Instant Camera: Christmas Stamp Set has TONS of wonderful sentiments in it. What better way to show them off than to use them in Subway Art! Here's my version! Isn't that mini bow just adorable? It fits perfectly at the bottom of the Instant Camera Die! 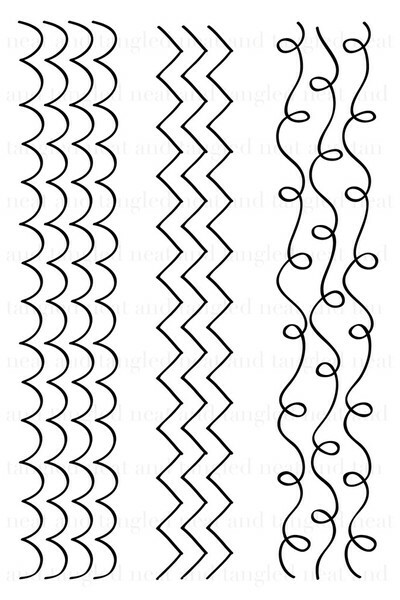 What about that pattern paper? It's from the Christmas This & That by Echo Park collection. And for a short time, you can purchase it through Lil' Inker! Next look at all three of the bows together! The mini is a MUST have! That's all from me today but make sure you continue with the Blog Hop as there are prizes on TWO blogs this week! So the more you comment, the more chances you have!! Your next stop is the blog of Alicia Thelin. Thanks for stopping today and we'll see you back here Friday for the Group Release Post!! 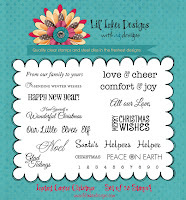 Welcome friends to the November Release for Lil' Inker Designs! This month has some really fun new dies and stamps. 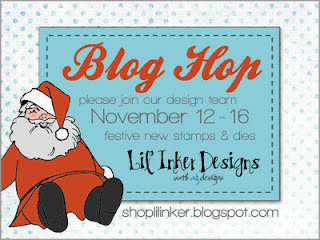 We are doing a blog hop and you should have arrived from the talented Alyssa Schritchfield's blog. If not, please stop by the Lil' Inker Blog to get started! My project today is using the new Instant Camera Die and Stamp set (along with a TON of other LID goodies!). With that being said, my post is photo heavy. So let's get started! I've created a desktop calendar for 2013! I love making these and this one features LID dies and stamps!! You can find the calendar I printed HERE. I can't wait to display this on my desk! I'd love to know what you think of this! This was certainly a fun project! Remember this is a blog hop and your next stop is Emily Leiphart's blog. There will be prizes for the release so make sure to comment along the way!! Market Street Stamps Blog Hop Day 2! 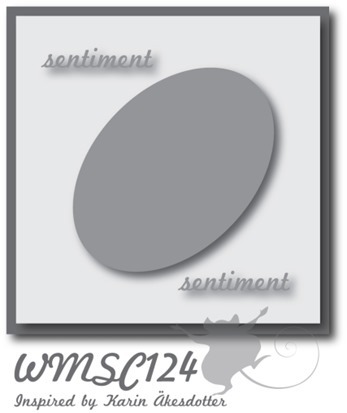 Market Street Stamps Blog Hop Day 1! Market Street Stamps November Release!